Over 70% of the Dutch population is proficient in English (this percentage is higher than that of Singapore!). Major cities in the Netherlands, including Amsterdam, Maastricht, Rotterdam, and Utrecht, all host internationally reputable universities. These schools offer dozens of programs in lingua franca. Fun fact – the English-speaking programs have become so popular that several universities were recently brought to court for not offering enough courses in Dutch. Dutch universities are autonomous and have different education systems. 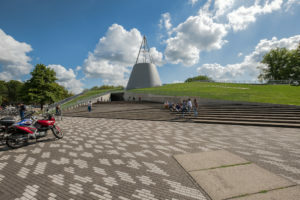 For instance, some schools such as the University of Maastricht divide an academic year into 4-6 academic periods, while others, such as the University of Delft, have traditional semesters. Like any other country, each university has its own strength. For instance, Wageningen University offers cutting-edge agricultural and biotechnology programs, which made this small nation one of the world’s export leaders in agriculture. On the other hand, Erasmus University is the home for multiple Nobel Prize Laureates, making it the go-to university for students interested in Economics or Business. Delft University, in contrast, offers spectacular Engineering programs. Known for being the city where the European Union was officially formed, Maastricht offers great programs in European Studies, Law and Health, with many alumni landing prestigious jobs in Brussels. As of November 2018, non-EU students are expected to pay €6,000-10,000 per year, and the living expenses will amount to approximately €850 a month. There are also many scholarships for talented students, offered by both the government and universities themselves. 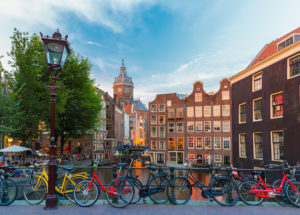 For international students, American-styled Liberal Arts colleges, such as University College Utrecht, Maastricht or Amsterdam are great places to start looking for funding. The Dutch know how to relax! There are dozens of university clubs you can join, ranging from lacrosse to debating. With bicycles being a major mode of transportation, you can always do your cardio on the way to the pub, where you meet up with your friends in the evening. Also, traveling is a big part of university life in the Netherlands. For example, University College Venlo is just a 10-minute bike ride away from Germany! With the Netherlands being part of the Schengen area, you can easily visit 26 European countries without a visa. Borders are virtually non-existent and traveling is affordable and convenient. You can buy a return flight ticket to Italy or catch a train to Berlin for €50. With all of the previous points, universities in the Netherlands could not be left unnoticed. According to the latest UNESCO statistics, this nation has attracted over 57,000 international students. Maastricht University has even become one of the top 5 most international universities in the world. Additionally, most university students in the Netherlands go on semester abroad programs as a part of their educational experience. While Dutch students go to the USA, Asia or Latin America, students from those countries further diversify the Dutch student body on their exchange. In other words, studying in the Netherlands will allow you to immerse in the lives of the Dutch, as well as your fellows from around the world. 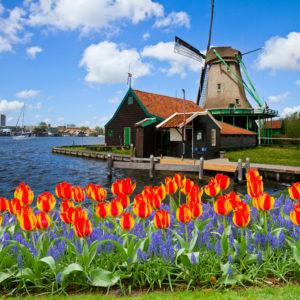 Are you now enticed to study in the Netherlands? Are you curious about what it takes to get into a good college and choose the right program in the land of tulips? Would you like to learn more about what graduates of Dutch universities do? Sign up for a 30-minute complimentary consultation session with our Admissions Consultant if you would like to get more tailored advice for your case!